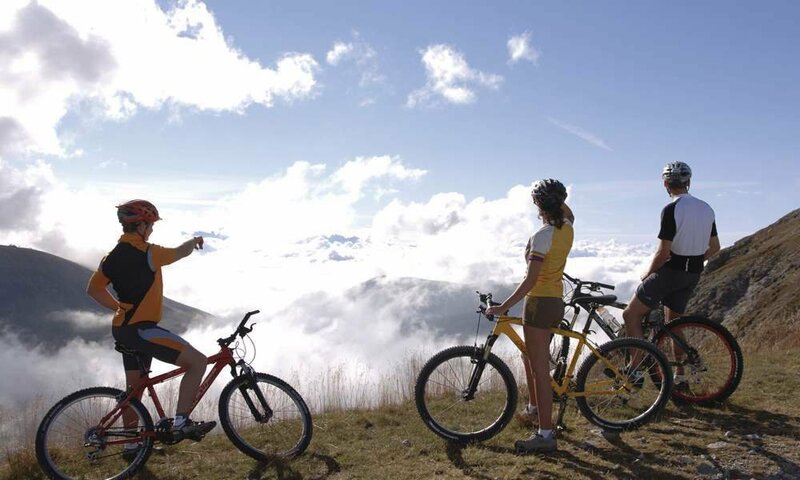 Cycling holidays in South Tyrol: We bring you up to speed! Have you ever thought of a holiday by bike in Eisack valley? Passionate cyclists will find ideal conditions here. In the valley bottom there is a dedicated cycle path – especially the route Brixen-Bozen is highly recommended. Here it goes through a varied cultural landscape on more or less flat levels. So families with children can go sporty, but also on relaxed tour. Our hotel is available for all your cycling holiday in South Tyrol or as a stop-off along the track. The bike path of the Eisack valley leads directly through Klausen. Going across South Tyrol on the wheel, our centrally located town is always a stopover worth – also for more than one night. Finally, in our environment of sights and attractive landscapes there is a lot to discover that you should never miss in your vacation by bike. And of course from Klausen you can visit the Dolomites on two wheels. Perhaps you prefer higher altitudes and want to go there pedaling quite vigorously? For this purpose the great trails are ideal for mountain biking, which extend over the stately high pastures east of the Eisack. From our strategic hotel in Klausen you can start every day for a tour in your bike holidays in the Dolomites.